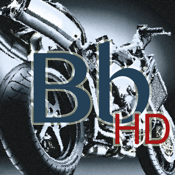 Biker Boy HD is a strategy and finesse motorcycle / motorbike adventure. Complete each handcrafted level, full of jumps, ramps, flips, booby traps, and stunts, The objective is to score as many tricks as possible all while achieving the lowest time! This intense game requires skill, precision, and quick hands, do you have what it takes to be great? This takes the original Biker Boy to the next level with vastly improved graphics, gameplay and almost twice as many levels and challenges! Over 18 trails/courses of increasing difficulty, and gorgeous landscapes. For any avid bike or motorcycle enthusiast this game is an absolute must have! Included are integration with your own music library, and game center leaderboards/achievements. - Gorgeous graphics and effects optimized for your latest and your older devices! We have tested on most platforms, with great success and fluidity! - Game Center integration and Leaderboards so you can comete against your buddies. - Realistic Physics, and intuitive gameplay! - Play your own Music from your music libraries while playing and rock out to your own tunes!